Alice Laussade proves again she is a money-raising force in Dallas. The inspirational sign of my childhood. Photo: Longhorn Ballroom. Over 1,200 people lined up to enter the Longhorn Ballroom last night for Meat Fight. The iconic Dallas building was built by O.L. Nelms in 1950. Anybody out there remember the signs around Dallas that read: “Thanks to All of You for Helping O.L. 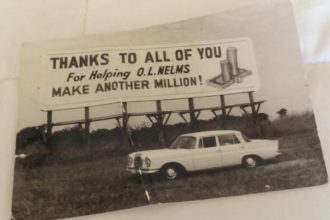 Nelms Make Another Million!”? They were everywhere. I was about eight and I remember thinking one day I would do the same thing. I guess I can cross that off my bucket list. Sorry, I got lost in history. 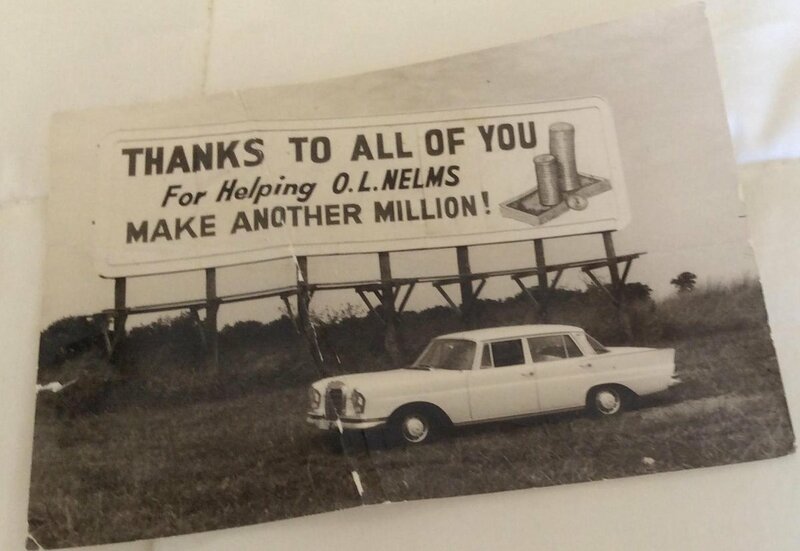 Nelms allegedly built the joint so that Bob Wills and his Texas Playboys could play there whenever they felt like it. Currently, the Longhorn Ballroom is a 23,000-square-foot event space. Meat Fight fit right into the ballroom with a large stage. Last night, the Longhorn Ballroom helped Alice Laussade and her dedicated group of volunteers, raise $225,000 for Multiple Sclerosis. That’s over $50,000 more than Meat Fight 2016. This year’s event featured 20 chefs competing on five teams. The $135 ticket ($235 for V.I.P.) theoretically insured you would have the opportunity to eat every meat submitted for judging plus a plethora of Sweet Fight dessert entries. I arrived at 6:10 p.m., and by the time I got inside, there was a mosh pit of hungry bone-sucking people in ill-formed lines. It took forever to find where one line ended and another began. Nobody seemed to care. I suppose many of them were Meat Fight veterans with strategic plans. They ripped into ribs as they waited in line and sent friends to the beer line. Smart. I wasn’t as prepared. I plowed through the masses to find a few folks milling around in front of the Meatnight Marauders. I noticed team captain Jeff Bekavac and his team of Danyele McPherson, Misti Norris, and Omar Flores leaning against the counter. It was 6:30 p.m. and they were out of food. They had already passed out 70 racks of ribs. Meat Fight is not for sissies. I voted for the The Ash Kickers, the team made up of Anastasia Quinones (ribs), Oliver Sitrin (turkey), Josh Harmon (sausage), and Jeana Johnson (brisket). I gnawed on the rib bones as I waited in line for the next sample while my devoted partner ran to the beer line. However, the live auction began, and we headed to the main floor to watch people spend thousands of dollars on bologna sandwich dinners and other meaty missions. Even though we ate one plate of food and drank two beers, we were happy to contribute to the cause. Next year, I am going to publish a user’s guide to Meat Fight and pass out free dental floss.